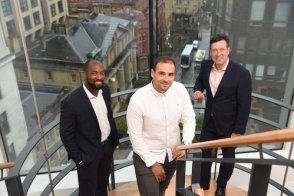 A Manchester company which helps public sector bodies to achieve digital transformation has secured a £1.4 million investment, including £750,000 from NPIF - Mercia Equity Finance, which is managed by Mercia Fund Managers and is part of the Northern Powerhouse Investment Fund; £500,000 from the Greater Manchester Combined Authority and £150,000 from internal management. Shaping Cloud enables the NHS, local authorities and other government departments to adopt cloud technology to deliver their digital transformation strategies. The company’s focus for growth is now on its software business and SPINR product, which provides a platform upon which new digital services and streamlined processes can be built. The benefits for public sector bodies is that it provides the ability to easily transact and share data without incurring the capital cost of replacing existing systems.